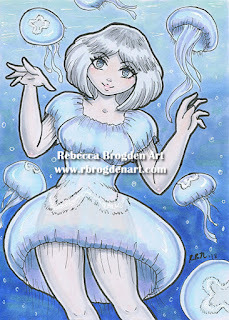 The Official Art Gallery of Rebecca Brogden N.
For the Monthly Fantasy Art Auction on Facebook. This month's theme "Mother Earth"
I am a fantasy anime artist who enjoys using a variety of mediums. My site is rated PG-13.